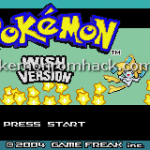 Pokemon Wish is an advance hack of Pokemon Fire Red. I can see that this game is worth playing. The author PSI Master wants to bring the new magic lookings into this game. Now, this hack took a long time to produce. 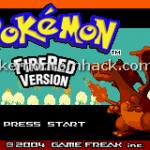 Pokemon Omega Red is a new hack based on Pokemon Fire Red in English and Spanish. The author of it is Jolt Steven, he brings more than 40 new features into this game. 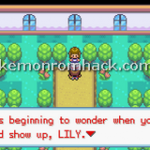 Pokemon Sea Temple is a new Pokemon FireRed hack in this year 2016. Ten years ago, something big was happened. A fierce battle between two gods has destroyed manything in this world. After ten years, things are being restored peacefully. Fire Red 169 : After testing Fire Red 169 – another version of Pokemon fan-made game on PC, I can see that this game is worth playing. 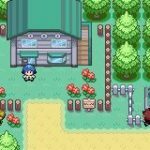 Pokemon Sarunoai : A modern storyline with many improvements, but all of them are implemented in an old game based on Pokemon Fire Red. Sounds a little bit of weird, right? 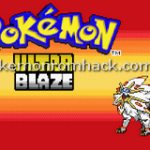 Pokemon WAR: The Rom Hack is a Pokemon Fire Red hack, but it is more different. All of us have known that Pokemon games are funny, easy-to-play with many details for children. It is based between five and ten years before the adventures of Red.